Grip force in palm, fingers and thumb and the effect on arm, shoulders and neck. We are well aware that to hold an object grip force is needed. We easily forget that these forces might cause detrimental effects in arms, shoulders and deep neck muscles. For example grip forces instigate loads in the joints of our fingers. It is only quite recently that studies at Hasselt University have shown that excessive forces in the finger joint can result in micro lesions and possibly Rheumatoid Arthritis. Gripping an object also requires the thumb. We thereby induce significant loads in the thumb (Carpometacarpal (CMC)) joint. Our grandparents were already aware off “washerwoman hands”. While washing clothes water was squeezed out by hand, introducing significant loads in fingers and thumb. Other examples are writer’s cramp, mouse pain, painful joints as a result of gripping tool handles. One should be aware that the majority of these grip forces are realized by muscles in our forearms. Let me explain why this anatomical set-up is of interest to understand certain complaints. For example muscles which allow us to use our fingers and thumb originate, and thereby acquire a major part of their strength from the IOM. Muscles exerting a force on a tensile membrane can result in painful irritation if and when these forces are exerted for extended periods of time. By rotating our forearm to a specific angle (25 o – 28o) we can more or less relax the membrane and thus reduce these stresses and strains. One should be aware that evolution has provided a number of solutions for pre-defined purposes. So, although we can relax the membrane by rotating our forearm, in some cases we need the stabilizing effect of this membrane. 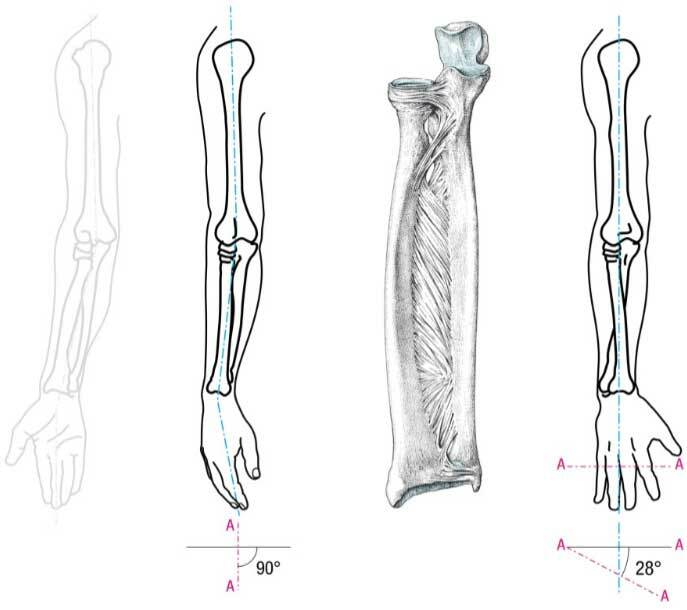 It maintains the interosseous space between the Radius and Ulna through forearm rotation and actively transfers forces from the Radius to the Ulna. It produces a stiff structure with elastic properties capable of maintaining large loads. From this perspective it is interesting to note that a flat wristed stabilized forearm motion can be realized. Not only is this interesting when we consider forces exerted during for example a golf swing but it also protects the elbow joint (Radiocapitellar Articulation) against serious stresses and strains during impact. Ben Hogan already addressed this phenomenon in the 1950’s (Golf Digest): “through impact the left wrist and the back of the left hand (of a right-handed golfer) should gradually supinate”. Luckily the human anatomy is provided with signal functions which warn us against possible overloads. Let me explain how we experience stresses and strains during major physical effort. Our muscles connect via tendons to our bone structure. However, things aren’t as simple as that. First tendons cross over into a fibrous material (Enthesis) which again connects through to Sharpey’s Fibers. The latter truly anchors through a membrane (Periosteum) into the bone structure. Both Enthesis and Sharpey’s fibers provide significant secondary functions. For example, fatty structures entailed in the Enthesis provide a dampening function to dissipate excessive stresses and strains. Moreover, even small signal sensors are present in the Enthesis (Pacinian corpuscle). Comparable signal functionality applies for Sharpey’s fibers. These and similar highly specialized organs – although currently not yet fully defined – connect to the bone but also to the IOM, the above mentioned membrane between Ulna and Radius. 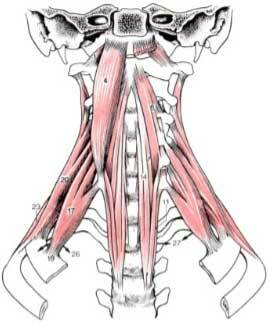 So these receptors provide a perception with respect to stresses and strains, posture and position (proprioception). Grip forces of hand, fingers and thumb, result in a kinetic chain which can even instigate tension in the deep neck muscles (Scaleni). 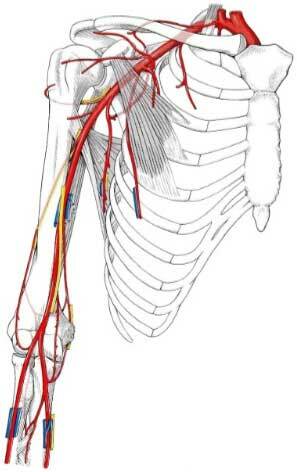 The simple fact that the deep neck muscles are connected to the first rib and that both artery and nervus brachialis run through the gate between first rib and color bone (Costoclavicular gate) will make one realize its significance. Do we realize that tense deep neck muscles can narrow this gate and even restrict the arterial flow to our arms, hands and fingers? This may also result in significant pressures on the nerves which runs into our arms. A restricted flow may then result in deficiencies which translate in cold hands, numbness, tingling and even tissue damage (reperfusion injury). From the above it can/may be concluded that excessive gripping and pinching can cause muscle irritation. A first objective is to minimize this. Experiments have shown that continuous loads in excess of 4% of a fully relaxed muscle (Minimal Voluntary Contraction, MVC) will in due course cause complaints. 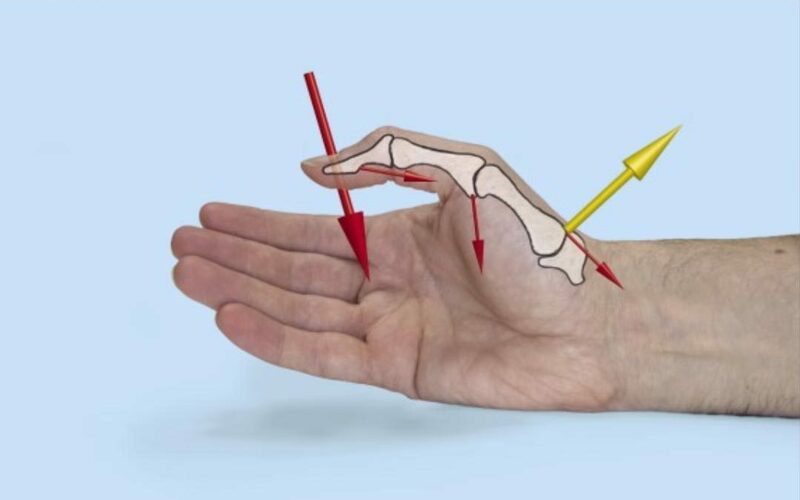 It is from this perspective that it is worthwhile to consider the various options to either prevent excessive loads on the IOM or to position the forearm and hand in such a fashion that a lax IOM can be realized. With repetitive tasks which require a certain amount of grip function a supinated forearm and hand position of around 250 to 280 should therefore be aimed at.